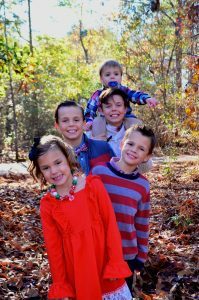 In, 2012, Aowyn Jenkins was a happy baby who delighted her parents Aurie and Noah, and her three older brothers Landon, Braddoc, and Tayton. At the time, the family lived in Utah due to Noah’s military service (though they have since moved to Dothan). At 10 months old, baby Aowyn was a happy and cuddly girl, sporting eight new teeth, cruising along the furniture, and zombie-crawling like a champ. She loved dolls, mom Aurie recalls, and was always talking and singing. Her three big brothers adored her. However, one day, everything changed. Aowyn suddenly had a fever of 103 that wouldn’t go away. 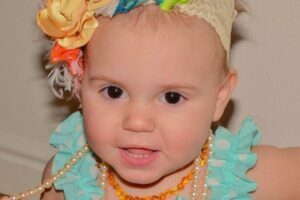 “Her fever wouldn’t come down with Tylenol, cool baths or any of the other tricks,” her mom recalls. Then came the rash—and it didn’t go away. Her high fever also stuck around (up to 105 at times), and a host of other symptoms came and went. One day her joints were red and inflamed; the next day her lips were bright red as though she were wearing lipstick. She also rotated between having red, swollen eyes and bright red, swollen hands. Before their eyes, Aowyn became very lethargic and would hardly move. Aurie and Noah were extremely worried. Because they relied on the military health care system, the family didn’t have a regular pediatrician. So each day, Aurie returned to a different pediatrician in hopes of answers and treatment—and every day, the doctors told her to let the fever run its course. On the eighth day of Aowyn’s illness, Aurie brought her to a pediatrician away from the base. After just a few minutes, he confirmed that he believed something was very wrong with the baby. He performed some scans and X-rays, but before Aowyn was even unstrapped from the table, he had called an ambulance to rush her to the children’s hospital in Salt Lake City. “He discovered that her throat was closing up due to swelling and she was struggling to breathe,” Aurie remembers. After the frantic ambulance ride, baby Aowyn was greeted by a team of doctors awaiting her arrival, who immediately began to work on her. After a long discussion, the doctor said he felt fairly confident in the diagnosis, but he went to consult with the team. Less than 10 minutes later, he returned to share his likeliest diagnosis: Kawasaki Disease. Because of the late stage, achieving a definitive diagnosis was difficult; all they could do was treat Aowyn for KD and see if it worked. The disease generally has a 10-day window for most effective treatment, and by now was the morning of day nine. Aurie and Noah were given the choice of whether to proceed with treatment, not knowing for sure of the diagnosis. Their answer was a resounding yes. Thankfully, it was the right choice. 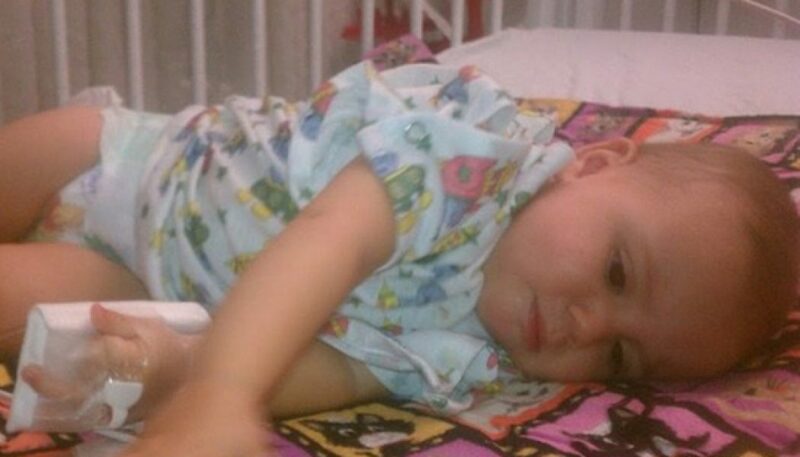 Aowyn received intravenous immunoglobulin (IVIG) and aspirin and improved almost immediately. “Within two hours of starting the treatment, my little baby who could hardly move a few hours before was sitting up, playing, talking, and singing,” Aurie says. After Aowyn returned home, she had to have an echocardiogram every three months for the next year. So far tests show no long-term damage, but she will need to have her heart checked every five years and remain heart healthy for life. After her daughter’s battle with Kawasaki, Aurie, a prolific blogger at findingyourjoyinthejourney.com, is now dedicated to spreading awareness about the condition. The rarity of the disease, she says, means many doctors have never seen a patient with it, so diagnosis is tricky. Aurie Jenkins was terrified she’d lose her daughter­­—and she doesn’t want that to happen to another family. Aurie’s advice to other parents dealing with an unknown illness. Trust Your Instincts: You know your child best. Even if someone says he or she is fine, you have unique insights as a parent. Document Everything: Aurie says that after meeting other families who have dealt with Kawasaki, all agree on one thing: They wish they’d taken daily photos of their children’s symptoms to help show doctors exactly what was occurring. Be Persistent: If you’re concerned about your child, it’s good to seek a second or even a third opinion.